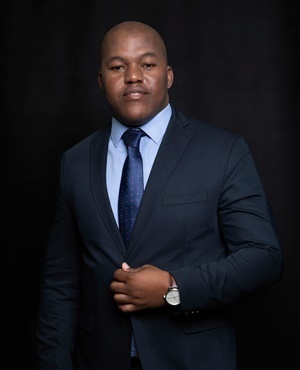 Andile Nomlala just turned 35 - an age that is classified as 'youth' in SA - and he has a daunting task ahead of him, having been elected as the President of the Black Management Forum (BMF) in October. “Black professionals are not as organised and influential as they used to be. The environment in the last ten years was difficult whereby terminologies such as ‘clever black’ made it difficult for [the] black intelligentsia to thrive,” said Nomlala in an interview with Fin24. The BMF was established in 1976 as a non-racial thought leadership organisation, to influence socio-economic transformation. It counts former Nedbank chair Reuel Khoza and former Shell South Africa's Vice President Upstream Bonang Mohale as stalwarts of the organisation. Nomlala, who rose through the ranks of the BMF, having joined the Student Chapter at university, went on to chair the Provincial Chapter of the Western Cape. He believes he and others on the organisation’s board dropped the ball during former President Jacob Zuma’s administration by not being vigilant of what black executives in State Owned Enterprises (SOE’s) – some of which have since been linked to state capture - were doing. “We kept quiet and we became spectators of a game we were supposed to be relentlessly and uncompromisingly umpiring. Mediocrity and looting with impunity were the order of the day,” said Nomlala. He adds that the current environment under President Cyril Ramaphosa is more amenable for black professionals and they need to organise and make themselves a force to be reckoned with. Nomlala points out that the BMF should have “vehemently opposed” former Chief Operating Officer at the South African Broadcasting Corporation (SABC) Hlaudi Motsoeneng’s comments that seemed to disregard educated people. He names former Eskom executives Brian Molefe, Matshela Koko, axed Transnet boss Siyabonga Gama and previous South African Revenue Services (SARS) commissioner Tom Moyane as people who ought to have been 'BMF' type managers, exemplifying black excellence and skill at state institutions. Instead they all left their positions under a cloud. “We should not rejoice over their demise but rather use this experience to set an example for other black managers to not engage in malpractices. “We need to promote good governance and black excellence, their individual behaviour becomes an indictment of all black professionals,” Nomlala commented. Nomlala is equally passionate about the transformation of white companies and black economic empowerment (BEE) legislation saying a legal solution is required to ensure compliance. “So many white people present a veneer that is pro-transformation - of which this country is in desperate need of, but the companies they run do not reflect this message,” Nomlala bemoaned. Nomlala complains that to date, there have not been any hefty fines or other sanctions imposed for non-compliance with BEE requirements. BEE legislation has been a mixed bag of results, with millions of black people joining the middle class since 1994, but the number of black top management in companies has remained stagnant or declined in the last ten years. According to data by the Department of Labour’s 9th Commission for Employment Equity (CEE) annual report (2007-2008), there were 18.8% black people in top management and in the 18th CEE report (2017-2018), the figure decreased to 14.3%. The BMF has established a litigation fund within the organisation to study every piece of legislation and regulation relating to transformation and find loopholes which allow companies to be non-compliant with BEE rules. The BMF will then lobby government to tighten the laws. If there is no political will, Nomlala adds, they will turn to the courts. Nomlala maintains redress and transformation are contained in the Constitution and companies which flout BEE regulations are anti-democratic and acting against the Constitution. “I am not going to lead anyone in toyi-toying because there is no need to do that when companies that are not transforming are protected by law,” said Nomlala. Nomlala, a BComm graduate who obtained his postgraduate Diploma in Management Practice (Honours) and an Executive MBA (EMBA) from the University of Cape Town, argues there is a business case for transformation which he believes adds to the diversity of companies which in turn leads to greater innovation, giving firms a competitive advantage. Nomlala has first-hand experience with the precariousness of being newly middle class in South Africa. He resigned from work to become an entrepreneur, a journey that turned out to be very tough in the beginning and he had to survive on his mother’s salary as a nurse. He stuck it out in the Mother City and was given a break by securing a few contracts to supply devices to parastatals through a Vodacom trade partnership agreement. He soon realised there was a gap in the market for a company to finance the two or three month deposits landlords require upfront for rentals, which is often unaffordable for entry level professionals. Nomlala established his company Deposit4U with the backing of his mentor, Woolworths Chairperson, Simon Susman, and he also runs a private equity firm. He believes every black professional should act as a mentee to someone or join the school governing body and make use of their professional skills within the community. "It is crucial for black professionals to 'stand up and be counted',” Nomlala said.